Google Webmaster Tools is a suite of free tools that not only makes it easier for Google to crawl your entire website, but also helps to improve your search engine ranking position. It offers variety of functions to the webmasters both for advance users and beginners. One more tool that can be use with Google webmasters is Google analytics by which you can find various traffic details about a website. Why to Use the Google Webmaster Tool for Your Website? Check search queries which brings most of the visitors to your site. Sitemap submission for better visibility. Generate Robots.txt file and remove certain URLs from SERP. Check and adjust crawl rate and statistic about crawling of your site by Google. The above list is too short to explain the features of Google webmasters features. Now it is confirm that using the webmaster tool offered by the Google is very useful and we should use it for website or blog. How to Use the Google Webmaster Tool for your Website? To enable the Google webmaster for your website you need to follow the simple procedure. Step 1: Go to https://www.google.com/webmasters/tools/ and click on sign up for new webmaster account. Enter your Google account details and click OK. Step 2: After sign up click on ADD SITE. Enter URL of your site and press next then you will reach to following page. In this step you need to verify your site ownership. If you are on a self hosted WordPress site then just download that html file and upload to your website (either use FTP or directly by login to your hosting control panel). In this dashboard you can see number of options. Now you are successfully sign up for you Google webmaster account and you can use it to improve the site performance in SERP. Display search refers to search engine optimization in terms of making it easy for search engines to visit your site. Structured data refers to such components of a web page as price lists, reviews and menus. Google can generate detailed information for viewers on the results page such as menu price ranges, average review ratings and even photographs of menu dishes. This information comes in the form of rich snippets, and can be generated for these content types: people, products, music, recipes, reviews, businesses and events. You can use this tool to test whether or not your data are structured sufficiently for Google to create a rich snippet. This tool checks your Meta data in the Head section of your HTML for problems. It reports on duplicate Title tags and Meta descriptions and checks if they are too long or too short. It also reports on non-indexable content. It is important to act on the information provide in this section of Webmaster Tools. The Meta data are given a high weighting by Google in its ranking algorithm. The AMP (Accelerated Mobile Pages) report shows you a count of pages that are successfully indexed or are with AMP-related error that occurred when Google crawled the pages. The Traffic section relates to exposures of your web pages to Google search engine users for specific keywords, information on popular keywords being use for your type of website, and also details of impressions and clicks to visit your website. You will also find information relating to your ranking, and also the internal and external links that will affect your Google PageRank. This gives the total numbers of searches whereby your pages were provide to the searcher over the period convened – generally the last 30 days, but you can select a different period. The last period is compared with searches for the period prior to that. The query list provides you with a list of keywords used by Google users that resulted in your web pages being displayed at least once – sometimes twice if there are too many results. Data for the top 2,000 queries (keywords) are listed. This can give hints as to the keywords to focus on for Adsense sites. The impressions refer to the frequency with which pages from your website appear in the SERPs, and the % daily change compared to the last period. The tool uses the last 30 days, but you can change this. This tells you whether or not work is needed on the individual pages to maintain traffic. The above information refers to appearances, or listings. ‘Clicks’ refers to how many times your listing attracted clicks. While your SEO might be good enough to get a listing, it may be on Page 50 = position 500). Alternatively, even if your page did get a page #1 listing, perhaps your Title or Description Meta tags might not be inspiring enough to attract a click. The % of impressions of your page in the results that end up getting a click to your web page compared with the previous period. Thus, if your CTR increase from 25% to 30%, this column would show +5. The average position in the rankings for that specific search term (keyword) over the period chosen (default 30 days), and how this has changed relative to the previous period of the same length. Green is good! The top ranked page only is taken for the average, so if one person finds your site in positions #1 and #5 for a specific search term , and the other in #3 and #8, then the Average Position will be #2: (1+3)/2. This tool lists all the web pages that are linking to your website (your backlinks). It also provides information on which URLs are providing most links, and the pages on your website that are receiving most links. Note that the two forms of your website URL – http://www.yoursite.com and http://yoursite.com – are listed separately, so make sure you have each added to Webmaster Tools. It is highly recommended that you select a preferred domain, then both will effectively be regarded as the same. These links, and their quality, determine your Google PageRank – an important factor in your search engine ranking. This tool reports pages that have links from other pages on your website. This indicates to Google your opinion of the relative importance of each page in your site. You can maximize the internal PageRank for specific pages by the way you organize your internal linking structure. For example, do not interlink every page between each other but offer links from other pages to those you want rake highest. However, each page should have at least one link in, or it is classed as an ‘orphan’ page. If you site has a generic top level domain, for example.com or.net, then you can use this setting to state any preferred geographical area you wish to target. Google’s listings/rankings for each page vary according to the country in which the search results are published. Therefore, without geographic targeting, or if you select ‘unlisted’, the visible ranking of each of your web pages in each country will depend upon your IP address and the source of the backlinks to your page. If you want your pages listed predominantly in the USA, for example, then you must select USA in the drop down list offered on the Geographic Targeting page of the ‘Settings’ option. If your site has a country-specific TDL, such as .uk or .aus, then you cannot change the geo-targeting setting: that is set to the country indicated by your top level domain. With the ever-increasing use of smartphones, it has become the need to monitor or report the global traffic that is through the mobile devices. Studies show that mobile visitors are more likely to revisit mobile-friendly sites. 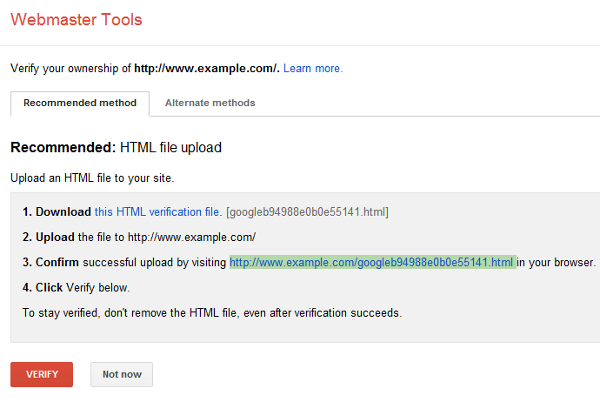 The ‘Google index’ section of Google Webmaster Tools provides information on index status associated with your website. For example, it points out the total number of pages indexed, number of pages not selected for indexing because of duplicate content. This section also allows you see how Google’s algorithm is seeing your site and gives you information regarding blocked resources. This tool informs you how many of the pages on your website Google has been able to index (not necessarily listed). 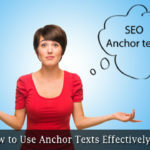 It tells the total number of pages indexed, the number ever crawled, the number not selected for indexing because they are too similar to other pages on the web (duplicate content), and the number of pages blocked by your robots.txt file. You should look for a gradual increase in the pages indexed: in fact you should be adding pages to your site on a regular basis for best results. If you see a drop, then you may have server or Googlebot access problems. For more information on understanding these graphs, check Index Status here. This section informs you whether or not your use of the robots.txt file is effectively blocking sites from Googlebot that you want blocked. For example, you may have a number of different pages offering the same information in different languages: Google sees these as duplicate content. You avoid this by blocking all but the page in your preferred language. This section lets you see if your use of the robots.txt file is working properly. The Remove URL tool is useful if you want any content on your website removed from Google’s index, but want the bulk of the pages listed to remain indexed. This should only be used to urgently remove indexed content, such as confidential information you have included by accident. It must not be used simply to take an old or unwanted site offline, or to remove any pages you have deleted. All you do with page removal is to change your sitemap. The ‘Crawling’ section of Google Webmaster Tools provides information on any problems associated with your website. For example, it points out crawl errors that are preventing Googlebot to access your site and offer details of any specific error. This section also lets you know whether or not your robots.txt file is working correctly. Site errors provide a list of errors that prevent any access of Googlebot to your site (Googlebot is Google’s main site crawling algorithm). The URL errors section provides a list of the URLs that Googlebot (spider, crawler, algorithm) could not find. Details of a specific error can be established by clicking on the listed URL. You should correct these errors which may be due to an internal link to a page that has been deleted, or to a link to an external page that no longer exists. The number of URL errors can affect your ranking, so do your best to resolve the problem, even if it means removing the link from your page. The crawl stats offer an indication of the Googlebot activity over the past 90 days (equate Googlebot with the Google spider). The stats are in the form of graphs that tell you how many pages were crawled each day, the time spent to download a page and how many Kb were downloaded each day. It lets you know whether your website is or is not being adequately visited by Google. 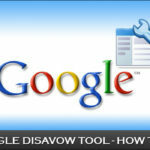 This tool enables you to see your web pages as Googlebot sees it. If a spammer has added text to your source code that you cannot see on the page, you can find this by using this tool. If you feel your web page is not being listed as high as it should, you might find out why by using ‘Fetch as Google‘ – you might spot content that you did not know existed. Fundamentally, a sitemap is an XML file listing all the pages on your website and how they are interlinked. This facilitates Google’s scanning your site, an enables Googlebot to find pages it might otherwise have missed. There is no guarantee, however, that all of your web pages will be visited and indexed. A sitemap is particularly of use to tell Google more about any videos, audio files or graphics on your site. They are also useful if your site contains dynamic content that can change regularly, and if your internal linking structure is inefficient and incomplete. A sitemap is also useful if your website is new, and you do not yet have many backlinks that will lead Googlebot to your web pages. Your sitemap should always be up to date, so regenerate it each time you add or remove a page. There is no need to resubmit it – simply change the old sitemap in your root directory with the new one. You can find a site map generator here or use a plugin if you have a blog. In some cases, specific web pages can be reached by more than one form of the URL. If the same page (i.e. the same content) can be reached using different forms of the URL, then Google sees that as duplicate content, and this can negatively affect your ranking. You can state a canonical, or preferred, URL. You can use the ‘URL Parameters’ tool in Webmaster Tools to include parameters that tell Google how to handle the alternative versions of a URL. This is a complex subject for the beginner, so click the above link for more information. 5.1. Structured DataTesting Tool: You can use this tool to test whether or not your data are structured sufficiently for Google to create a rich snippet. 5.2. Structured data Markup Helper: This tool will help understand site’s data and help you make the data more attractive manner that can be displayed in new ways. For more information, visit here. 5.3. Google My Business: You can have your business listed in the top positions for local searches by using Google Places – a free of charge listing service. The service lists the top 7 local businesses according to your keywords between the top sponsored listings and the regular search results. This is a very useful service for those whose products are geographically specific, such as local restaurants and stores. Your site can be listed above all the others outside of your immediate area. 5.4. Google Merchant Center:This is where you can upload data about your products, so that it can be found by ‘Google Product search’ and other search services offered by Google. The Google Merchant Center is a useful service for those offering products online. 5.5. Custom Search: This page in Google Webmaster Tools gives you access to a customizable search box for your own websites, and also for other sites and web pages. You can customize the appearance of the results to suit your needs. These are the main aspects of Google Webmaster Tools of which you should be aware. Each tool has a specific use, and you will likely be better to learn how to use each properly in turn, than to attempt to apply them all at once. Understand each tool, and why you are using it, or it is easy to misinterpret the results. Since it is estimated that Google takes around 65%-67% of all searches, it makes sense to take the firm’s advice on how to improve your website. When you add Google Analytics to all of this, you have a very powerful and comprehensive suite of tools to tell you just about everything you need to know about your website or blog – except how to make money! That is up to you, although it’s a lot easier with a page #1 ranking! 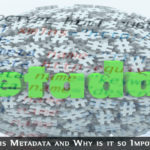 What is Metadata and Why is it so Important?